Gameloft has since long produced some of the fines quality games for Android and iOS, but lately they seem to be even more productive than usual. The company has just announced that it will be launching its first title to use the Unreal engine for the Google and Apple platforms. 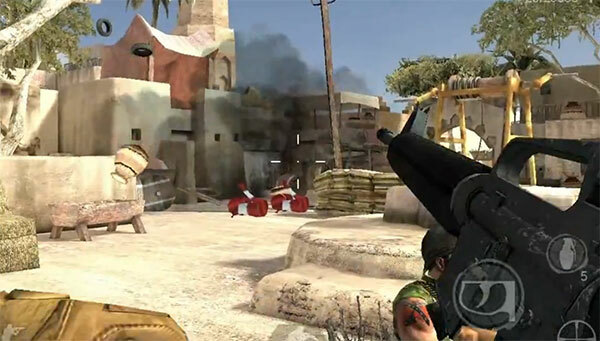 The game is called March of Heroes and it will be a first-person shooter. A pretty good first-person shooter, I might add, judging by that trailer. Earlier in the year Gameloft announced that it’s actually working on four different games that use the Unreal engine and while it didn’t commit to releasing all of them to both platforms, the fact that the first one is under way to both platforms is promising enough. The company didn’t specify an exact release date for March of Heroes, but it promised to reveal more information soon. We’ll keep an eye on the development of that one.